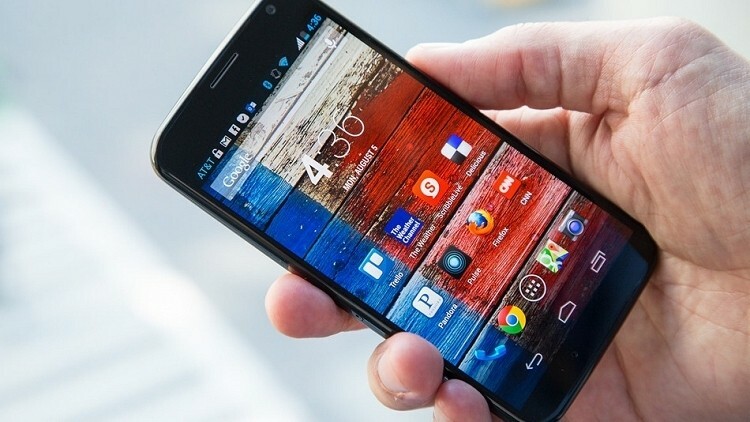 The highly-customizable Moto X smartphone is now available for 50 percent less than it cost just 24 hours ago. That’s right, Motorola’s latest with 16GB of storage can now be had for $99.99 with a two year service agreement or if you need more storage, the 32GB flavor now runs $149.99. Best Buy was reportedly the first retailer to drop the price of the Moto X and since that time, other big names like Amazon have followed their lead. The price applies to both new and existing customers and is available in AT&T and Verizon flavors. News of a price drop isn’t terribly surprising as the full lineup of Droid devices at Verizon saw similar price cuts just a week ago. The price cut could also signal the imminent launch of a new device, rumors of which have been making the rounds this week. According to SlashGear, the unnamed handset will feature a larger display and a higher resolution than the one on the Moto X. They claim the device will likely be powered by a new Qualcomm Snapdragon processor and feature the Motorola X8 compute chip. In related news, the more powerful LG G2 has received a similar price cut down to just $99 with a two-year contract for new Verizon customers. This phone is powered by a 2.26GHz quad-core Snapdragon 800 CPU alongside 2GB of RAM. Other amenities include a 13-megapixel rear camera with optical image stabilization, 32GB of internal storage and a 5.2-inch IPS display operating at a resolution of 1,920 x 1,080.